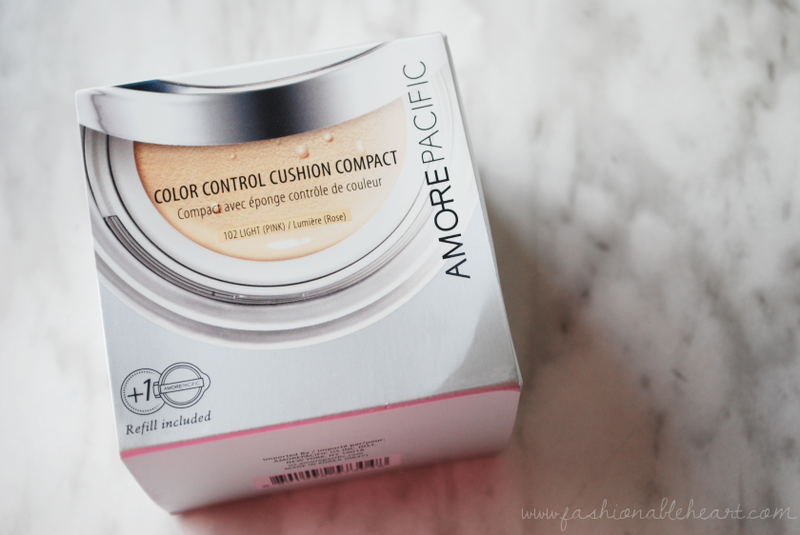 I have a history with BB creams, but I have not dabbled in CC creams yet. The difference is they are amped up a little more with anti-aging properties and a little more coverage. 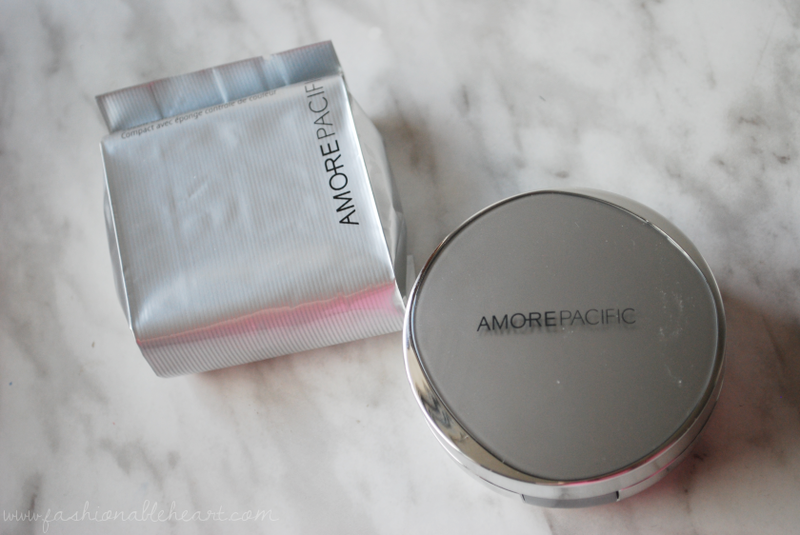 The AmorePacific Color Control Cushion Compact (say that 10x fast!) now comes in a shade 102 Light (Pink), but it's not up on the Sephora Canada website yet. For my American readers, you can also get it here. It retails for $72 CA, but it does come with one refill packet. To refill the compact, you just push up from the bottom and pop the new one in. The formula contains SPF50. The puff included is anti-microbial enabling hygienic use. And this is one of those rare times where I actually really like the applicator included and find that it gets the job done well! You just dab it onto the sponge and then pat the product onto your face. This does not oxidize on my skin, feels light, and has a slight sheen to it, something that my skin especially lacks in the winter. It is free of parabens and sulfates and the brand does not test on animals. I really like this! If I were to nitpick, there are two points of contention that I have with this product. The scent and the price. It is heavily fragranced and it took a bit to get used to. It does dissipate during wear, but it goes on strong. And $72 is steep, but I get it. You get the refill and you don't need a lot of product per use, so I can see the whole thing lasting for months. 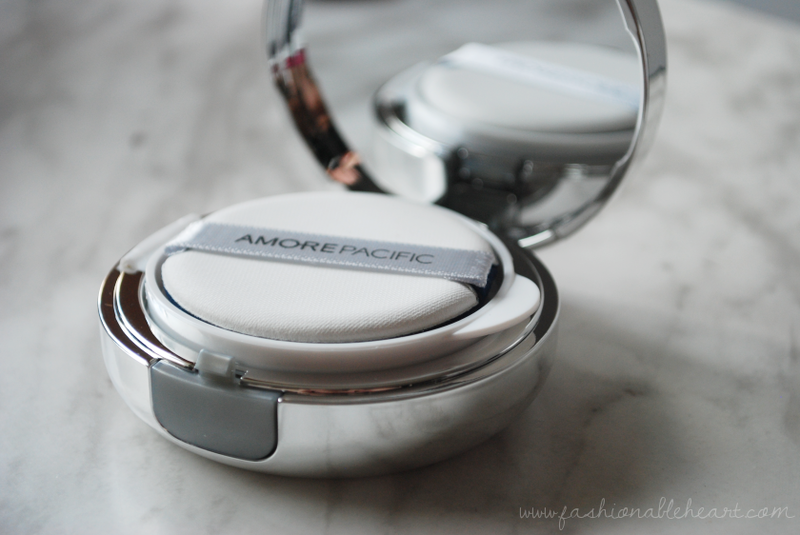 Getting rid of $72 on one product just hurts, that's all. Like Beyoncé says, pretty hurts. 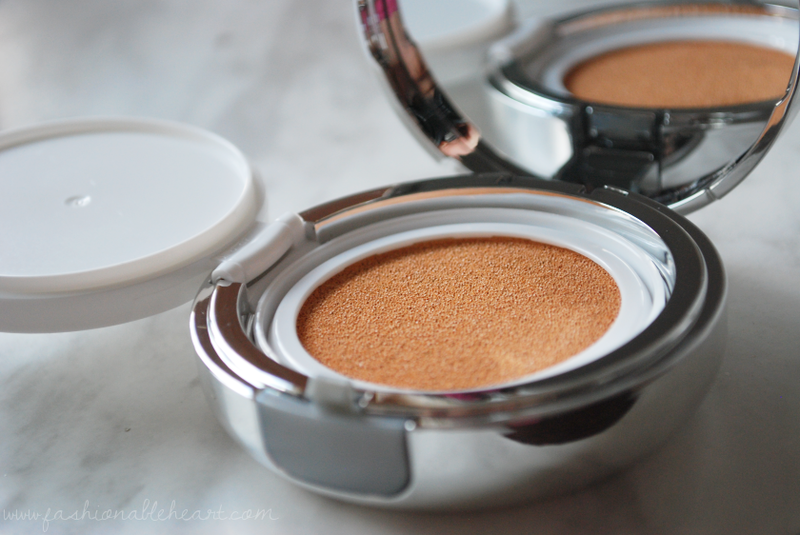 ^ On the puff, lightly blended, fully blended. "Inspired by the traditional Asian stamp seal, the patented fluid capture system transforms liquid into a refined emulsion housed in the travel-friendly sponge. Color and skincare actives are transferred smoothly and evenly for buildable coverage and a lightweight, long-wear finish. Asian botanicals, including bamboo sap and green tea, brighten and prevent skin irritation while providing antioxidant protection. Bamboo sap replaces distilled water for instant hydration and long-lasting suppleness." **This product was provided, but all thoughts and pictures are my own. I am not being paid, nor are there any affiliate links in this post.